17 27 Communities have joined WAM 2018, we're waiting for you! Thank you for supporting the Sustainability Initiative! Hi, Lingveno! Thank you again for supporting the Sustainability Initiative, which aims at reducing the environmental impact of the Wikimedia movement. Over the past two years, more than 200 Wikipedians from all over the world have come together to push the Wikimedia movement towards greater sustainability. Currently, we are working with Wikimedia Foundation staff to make sustainability a key priority for the selection of a new location for Wikimedia servers in Singapore. Also, we have presented the Wikimedia Foundation with a green energy roadmap to have all Wikimedia servers run on renewable energy by 2019. Ask other Wikipedians to sign the project page as well – this way we can show the Wikimedia Foundation that this is an issue that the community really cares about. Talk to Wikimedians you know about the importance of reducing the environmental impact of the Wikimedia movement. Improve and translate the project page on Meta. Saluton! Supozeble mi atingos la duan lokon, kaze de tio vi sendu neniun premion, ĉar mi pensadas pri pli nova konkurso. Baldaŭ mi skizos tion! Hope you receive your postcard successfully! Now it's a great time to sign up at the 2017 WAM, which will still take place in November. Here are some updates and improvements we will make for upcoming WAM. If you have any suggestions or thoughts, feel free to discuss on the meta talk page. Thanks again for organizing Wikipedia Asian Month. There are only 4 days before it starts. If you haven't yet signed your language in WAM 2017, You can sign-up here. Below we have provided some notices and guidelines for organizing. Our Sample page is ready to be translated. There are only a few adjustments if you had this page for 2016 already. Article criteria are 3k bytes and 300 words. NO 2k bytes for smaller Wikipedia. According to the tool's limit, IP users can not participate. Please encourage them to register an account. Please localize this template and used on sign up page. I will update the template once the tool is ready to be used. You may have to invite some of your Wikipedia friends or active Wikipedians from your home WIKI to help you organize. You may have to send some invitation to last year participants, active Wikipedians, and Wikipedians who has a special interest. Central Notice will be used. You may use the Site Notice if you don't see the CN is deployed. We will keep sending postcards (new design) this year, and as an organizer, you will receive an additional postcard as well. We will have many special prizes provided by Wikimedia Affiliates and others. Take a look at here. Let me know if your organization also would like to offer a similar thing. We will send the Ambassador a regular paper copy of the certificate through the basic mail. Please feel free to contact me or the WAM team meta talk page, send me an email by Email this User or chat with me on facebook. Saluton Lingveno! Mi partoprenis lastjaran WAM en eo.wikipedia. Mia kontribuado estis malgranda sed mi kredas ke eĉ malgrandaj kontribuoj gravas. WAM estas ankaŭ ilo por pligrandigi kaj plibonigi la esperantan vikipedion. I’m Erick, the coordinator of WAM 2017. Thanks for your effort and help at m:Wikipedia Asian Month 2017! Here are some more information about organizational matter of the event at a national level. You are receiving this message because you have signed up as a organizer or in the list. Invite previous participants and your community members to join. We have a template you can use. Translate Central Notice for your community (more instruction below) as well as sending a notice in village pump. Go public! Translate, change logo and link to event page. Find your project's Central Notice here. For example, we can change the banner for Chinese Wikipedia here. When you mark the 4 items (translation) as done. I'll enable the central notice in your language for this month. Have some interesting articles in your mind or from community? Drop us a line so that we can post that here to exchange the information to other communities. Write an article about Indigenous people in Taiwan at Wikipedia Asian Month (supported by Wikimedia Taiwan). Write articles on monuments of Bhubaneswar (supported by Bhubaneswar Heritage Edit-a-thon). The participants who joins for the special prize need to also report their conribution in the speical page. The link is shown in the Event Partner page. Congratulations! 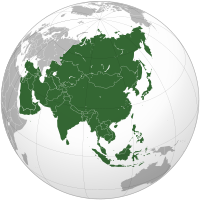 The Wikipedia Asian Month is has ended and you've done amazing work of organizing. What we've got and what's next? Make sure you judge all articles before December 12th, and participants who can improve their contribution (not submit) before December 10th. Ĉi tiu paĝo estis lastafoje redaktita je 12:33, 6 jan. 2019.